Court documents released this week in the prosecution of Bernard Madoff, who pleaded guilty on Thursday to running a Ponzi scheme, shed new light on the failure of government regulators to nab him during an investigation three years ago. 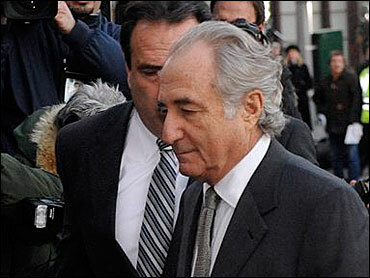 On May 19, 2006, when the Securities and Exchange Commission questioned Madoff under oath, he falsely described how he would buy and sell stock and options contracts in Europe on behalf of his clients. In reality, as he wrote in a letter that was part of his guilty plea, those statements knowingly "misrepresented" what was going on and he "had not executed trades on behalf of my investment advisory clients." The SEC came close. It asked Madoff: "Is there any documentation generated?" And: "So if you wanted to find out with whom you bought these contracts on a particular day, that's where you would go." Eventually, the SEC recommended closing the investigation, according to the Wall Street Journal, "because those violations were not so serious as to warrant an enforcement action." It probably didn't hurt that his niece Shana Madoff (a former compliance officer at Madoff Investment Securities) married Eric Swanson, a former assistant director at the SEC's Office of Compliance, Inspections and Examination. Another bit of trivia: President Obama's SEC Chairman Mary Schapiro was running the Financial Industry Regulatory Authority when it investigated Madoff -- and also failed to stop him. Earlier this month, 60 Minutes featured an interview with Harry Markopolos, the man who figured out Madoff's scheme before anyone else, and repeatedly tried to get the SEC interested. "It took me five minutes to know that it was a fraud," Markopolos said. "It took me another almost four hours of mathematical modeling to prove that it was a fraud." Another example of regulatory failure is the case of Darrel Dochow, the official in the Treasury Department's Office of Thrift Supervision who impeded an investigation into the Charles Keating's failed Lincoln Savings and Loan (which failed) and then allowed backdating transactions on the part of IndyMac Bank (which also failed). A portion of the court documents filed by federal prosecutors this week, which includes an excerpt from the SEC examination of Madoff, is below. hedged with options. Does that in fact happen? Q: Let's focus on the actual execution portion of it. correct then that the equities are traded in Europe? Q: That's for equities and options. A: Equities. Options is a dozen. Q: A dozen. Do all of them end up trading usually? Q: Who are the counterparties to the options contracts? A: They're basically European banks. relate to the time frame for the equities trading? the morning typically between 8:00 and 9:00 a.m.
an after agreement and you have a confirmation, a 2-page document. that's attached to that that's also electronic. trade with each particular dealer. Q: Who has the custody of the assets? in the institutional trading business?